With aluminum fencing, MM Fence LLC can provide the look of wrought iron fencing but at a reduced cost. Wrought iron fencing needs to be fabricated while aluminum fencing is simply manufactured. Aluminum fencing is a great durable, low-maintenance fencing option. Aluminum fencing will not rust like iron, and it’s been estimated that aluminum can take over 10,000 years to disintegrate. 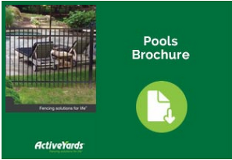 This contributes to the low-maintenance feature of aluminum fencing. When powder coated, your aluminum fence will never need to be painted. A black aluminum fence is a great choice that will blend with all your landscape variables.